Being a PC, console and mobile games news site, GameBuz is focused on trending topics, news and reviews and gathers gamers together. 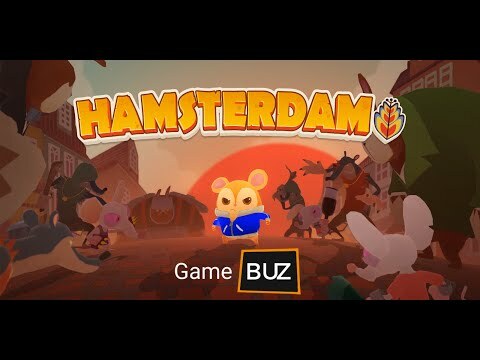 GameBuz was added by GameBuz in Apr 2019 and the latest update was made in Apr 2019. The list of alternatives was updated Apr 2019 There is a history of all activites on GameBuz in our Activity Log. It's possible to update the information on GameBuz or report it as discontinued, duplicated or spam. IGDB.com is a next-gen website about video games, intended for both game consumers and video game professionals alike. The most trusted reviews of adventure games for PC, Mac, iOS, Nintendo DS, Wii and other platforms. Latest news, release dates, previews and trailers. Pleb Game Reviews is the video game review website where only the consensus of regular gamers decides the ratings and rankings of games. Most important news in the world of games, game development and game business!. Alternatives to GameBuz for Web, Android, iPhone, iPad, Android Tablet and more. Filter by license to discover only free or Open Source alternatives. This list contains a total of 15 apps similar to GameBuz. Maybe you want to be the first to submit a comment about GameBuz? Just click the button up to your right!